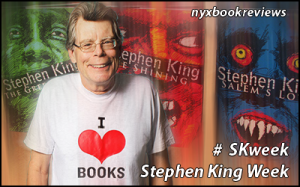 With certain names come certain expectations, and with a name like Stephen King everyone already has a set image of what they’ll expect of a book. Especially combined with the notable cover of Joyland, I was expecting a different story then what I got. Devin Jones is a twenty-one year old student that has had his heart broken by his first love. To make some money, he starts working at an amusement park. Here he meets an eccentric cast of characters, and hears about the murder of a young woman in the haunted house ride. By the description, the cover and the publisher, I was expecting a noir, over the top kind of mystery story with some good old horror thrown in. Joyland is not that book. It does have mystery and ghosts, but for the main part Joyland is the story of Devin growing up. And I quite enjoyed it for that. Devin is a great character – he is honest and self-deprecating, and he just seems so real. Joyland is very character-driven, but this is what Mr King does best. For me he always manages to draw me into his characters that are all flawed (though some more than others) and keep me reading. Especially in the first part of the book, the mystery isn’t what keeps you reading, the characters are. That’s not to say that the mystery is exactly bad, but it does take the background for most of the story. The ending is pretty nerve-wrecking, but there aren’t that many clues to figure it out by. I liked the mystery, but it didn’t blow me away. Set in the wonderful carny world (with, of course, appropriate carny lingo), Joyland is an honest portrayal of a young man growing up into adulthood. It’s shorter than Mr King’s other books and would make a great introduction for people unfamiliar with his work, but it’s not my favourite of his books; that particular spot in my heart is still reserved for Lisey’s Story. “I love crime, I love mysteries, and I love ghosts,” says Stephen King, who has combined these elements into a wonderful new story. 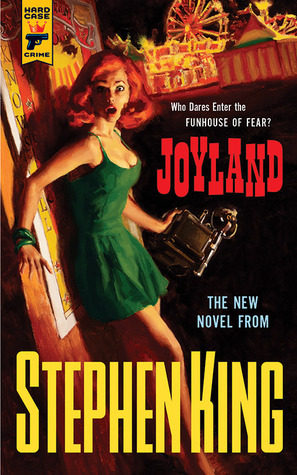 Joyland is a whodunit noir crime novel and a haunting ghost story set in the world of an amusement park. It tells the story of the summer in which college student Devin Jones comes to work as a ‘carny’ in small-town North Carolina and has to confront the legacy of a vicious murder, the fate of a dying child, and the way both will change his life forever. 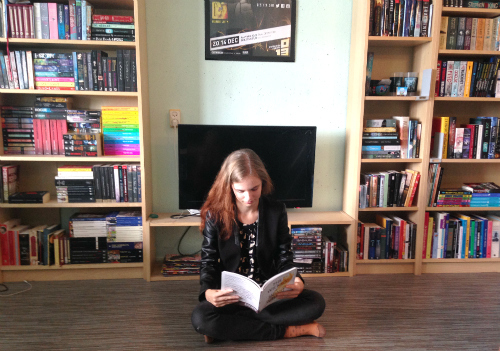 It is also a wonderful coming-of-age novel about friendship, loss, and your first heartbreak. Who dares enter the funhouse of fear?